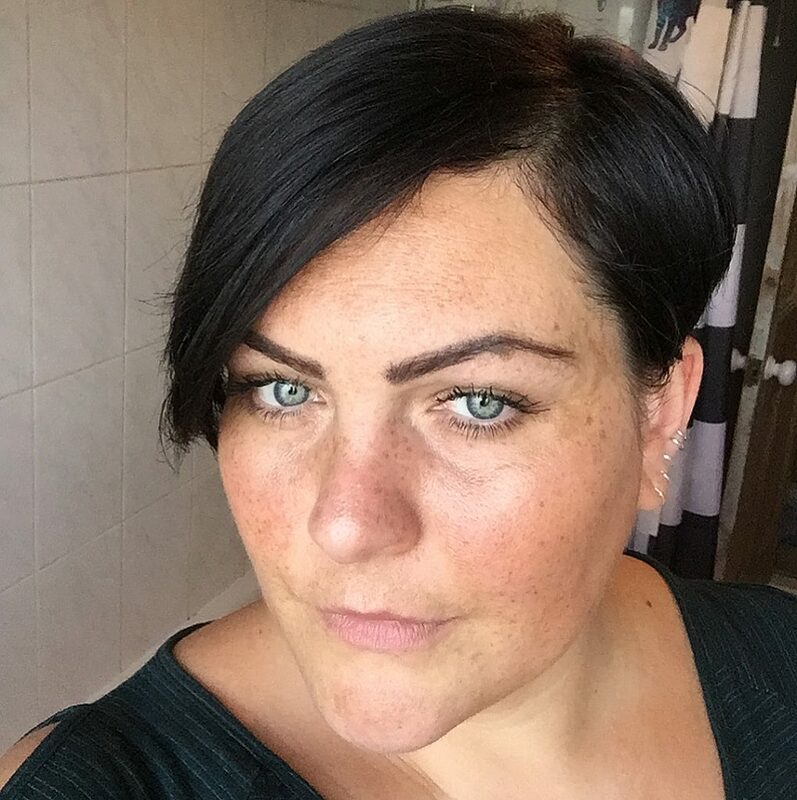 A rare event is happening in plus size fashion 2014. Trends and comfort are together at last. Sure leggings are comfortable but they’re not appropriate for every situation. These soft tapered pants, however, are. You’ll feel like you’re in your pajamas but look fabulous. 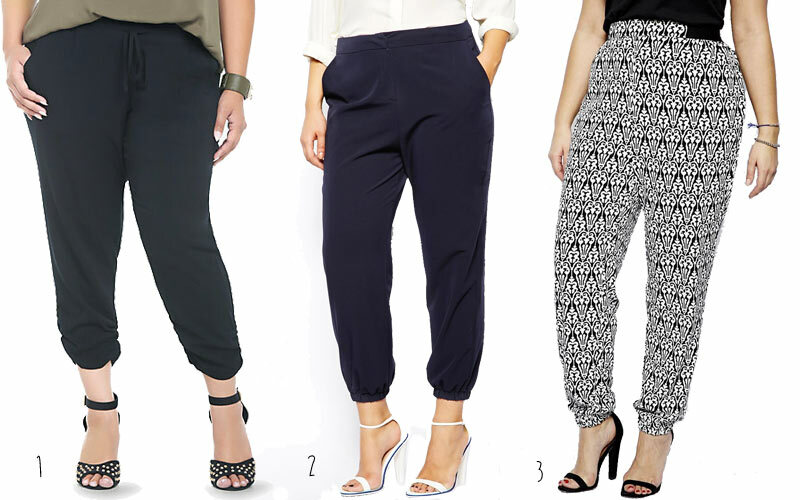 You can wear this stylish version of the harem pant everywhere, from the beach to work! 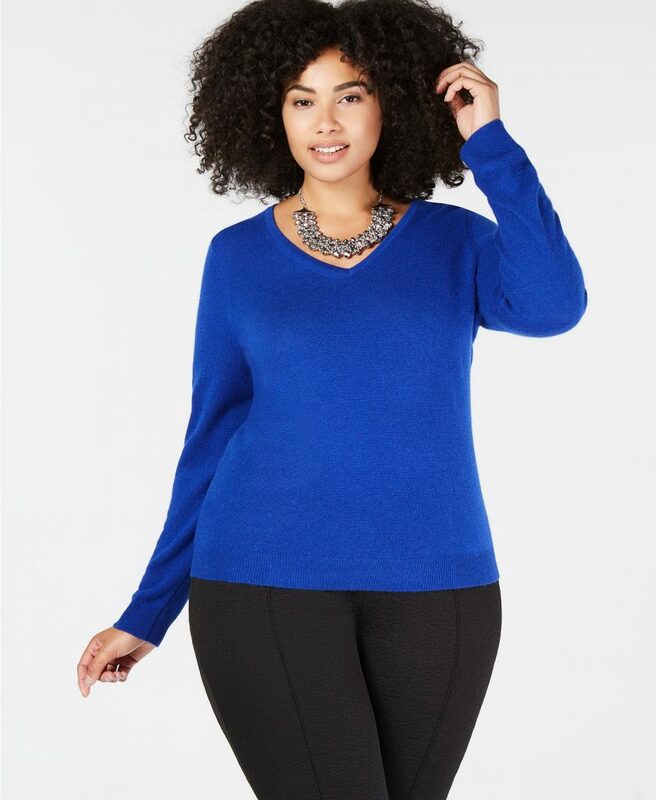 This update in silhouette means that is curvy trend is best suited to hourglass shapes who want to highlight a narrow waist. 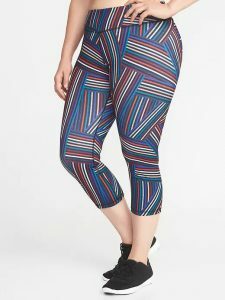 With the tapered leg and roomy fabric, these pants are as flattering as a skirt. And these lightweight fabrics are perfect for staying cool in the summer heat. On top, stay away from the long shirts that you’d wear with leggings. Instead, try a crop top, short t-shirt, or tucked in cami. 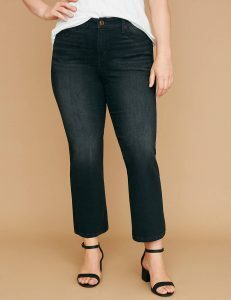 Torrid Soft Cropped Pant – It also comes in this cool black and blue pattern. Alice & You Printed Jogger – unfortunately this pant is out of stock right now but this and this are similar.